Organise, display and enjoy your lovely jewellery every day with this unique take on a jewellery box - it's too pretty to keep hidden away! Perfect for keeping necklaces/bracelets tangle-free. 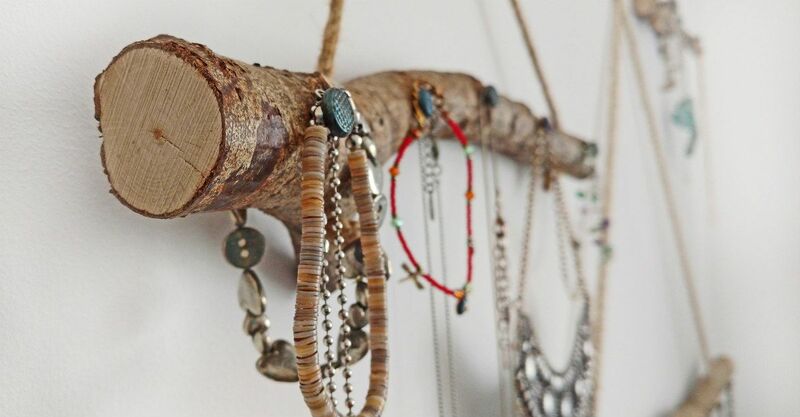 Our rustic hanging branches* are ideal for storing and displaying necklaces, bracelets, watches, dinky little trinkets and seasonal decorations beautifully - pretty art for your walls, year-round. 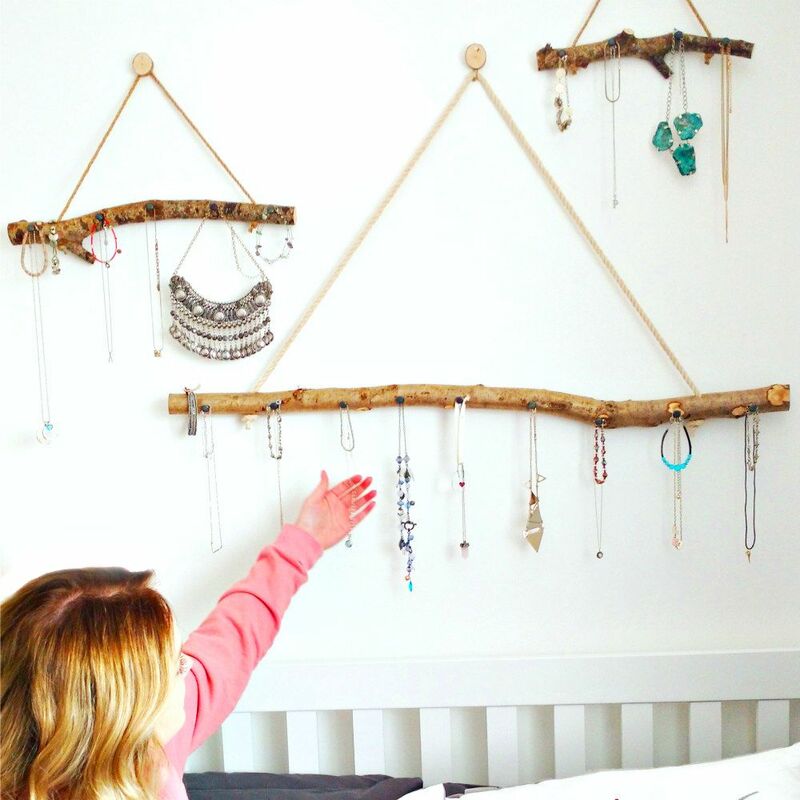 These Branch Hangers can be used throughout the year to celebrate holidays and special events - display a selection of hearts for Valentine's Day, pretty eggs for Easter and spooky decorations for Hallowe'en for example. 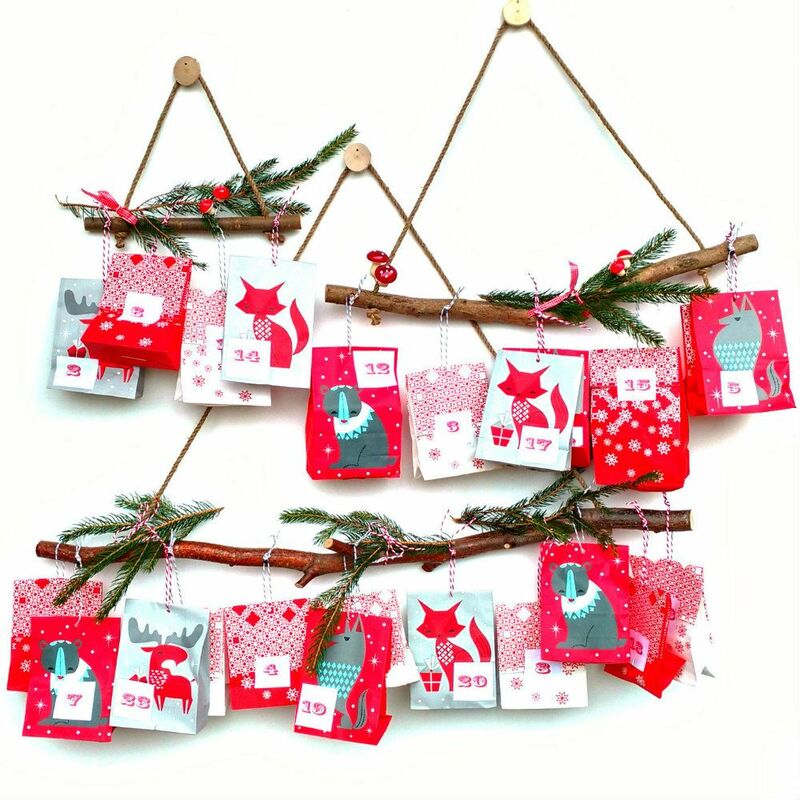 They make terrific advent calendars too - you can decorate them in your own personal style and tailor the little gifts to suit your child! 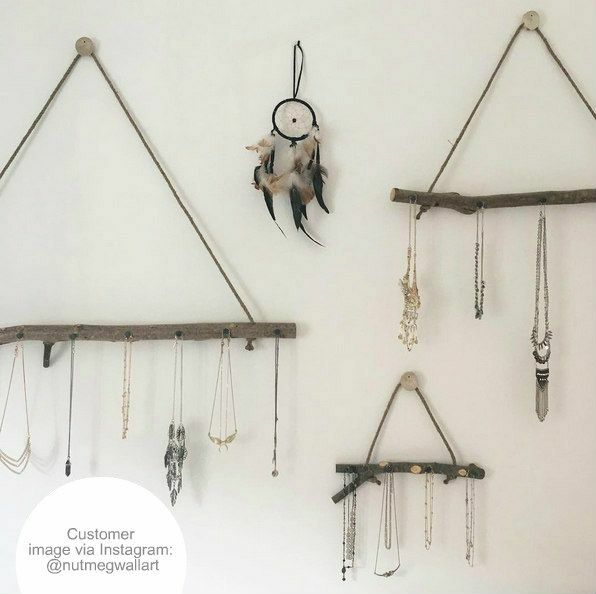 Branch Hangers are available as a set of 3, with industrial-style tack hooks (finish/style may vary) to decorate, in 90cm, 60cm and 30cm (approximately) length branches. Also included is a wall fixing for each hanger and 3 little log disc covers to disguise them. These branches are a natural product, therefore each will vary and be unique: bark colour and branch curvature will vary depending upon wood stocks. Rope / string / tacks supplied may vary from the images; jewellery / decorations shown are not included.